If necessary, clip hair from area to be treated and cleanse with soap and water. 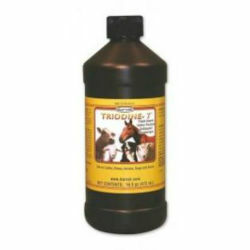 Apply Triodine-7™ with a swab. Potassium Iodide. Provides 2.4% Titratable Iodine*. *Complies with DEA Iodine Regulation 21 C.F.R. §1310.12. No DEA registration required.